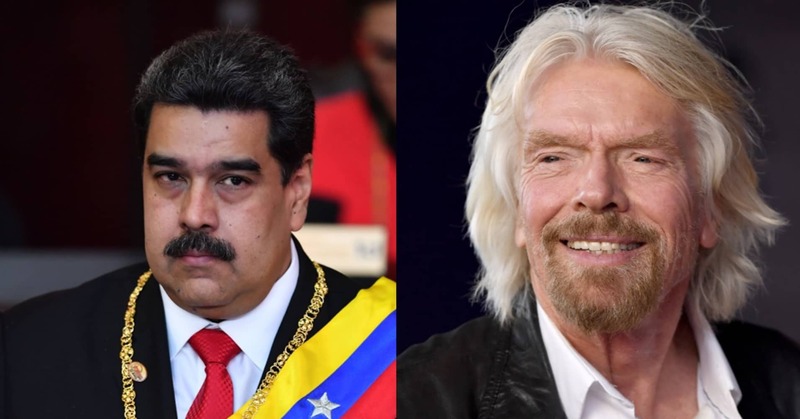 On February 18, 2019, the Workers Platform for the 22nd February Gathering organized by British billionaire Richard Branson to raise money for the Venezuelan relief mission in Cucuta, Colombia, at Tienditas International Bridge. Government news comes just days after the Virgin Group founder announced the "Venezuela Aid Live" concert, an event seeking to raise funds and awareness of the ongoing crisis affecting the South American country. "Venezuela suffers and not long ago was the richest country in South America. Now it faces the worst humanitarian crisis in the Western Hemisphere," said the entrepreneur in a video posted online on Friday. Currently, millions of Venezuelans have been displaced or driven out of the country, as citizens face major shortcomings in basic goods such as medicine and food, along with other problems such as power cuts. "Venezuela Aid Live" hopes to raise $ 100m within the next two months so that humanitarian aid can be provided to those who need it. Maduro has recently repeatedly resisted letting foreign aid go to Venezuela, with the country's armed forces barricading a critical entry point of relief. It also comes as the country is facing political turmoil, with division being seen in the international community over who is leading the South American nation, Maduro or opposition leader Juan Guaido.